German motorists are avoiding filling up their cars with gasoline with a higher biofuel blend due to concerns it could cause engine damage, German oil industry association MWV said. 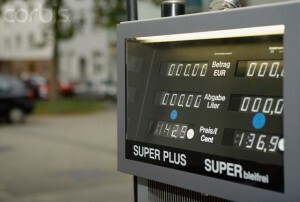 The German government has from Jan. 1, 2011, permitted a rise in the maximum level of bioethanol allowed in blended gasoline to 10 percent from 5 percent previously as part of German’s programme to protect the environment. The new fuel is being introduced in stages in the first quarter of 2011, but the MWV said up to 70 percent of motorists are avoiding the new blend, called E10, in petrol stations where it has been introduced. Many motorists were apparently concerned about possible engine damage from the new blend, although 90 percent of cars can use the higher E10 blend without difficulty, it said. Motorists continue to use the old fuel with 5 percent bioethanol content called E5, it said. If the trend continued, petrol stations would run out of E5 gasoline, it said. The association said motorists should simply check whether their car is suitable for the higher blend.